reachthenteach.com: Talk To Me (General Math Edition) - Teach the Language of Math! Talk To Me (General Math Edition) - Teach the Language of Math! Visit my TeachersPayTeachers store to purchase! Language (how we use words and sounds to communicate) and discourse (verbal expression in speech and writing) are more important than vocabulary (knowledge of words). Purchasers must use a laser or inkjet printer to print their 130-card set on Avery 8371 perforated business card stock, which yields 10 cards per page. How Was "Talk To Me" Developed? As an elementary, middle, and high school student, I developed a strong love affair with the structure, innate beauty, and applicability of math. I enjoyed the challenge of being assigned the even-numbered problems for homework (the ones whose answers were not in the back of the book), and enjoyed solving word problems of any kind. As a college (Clemson University) and graduate (Georgia Tech) electrical engineering student, math seemed to change. 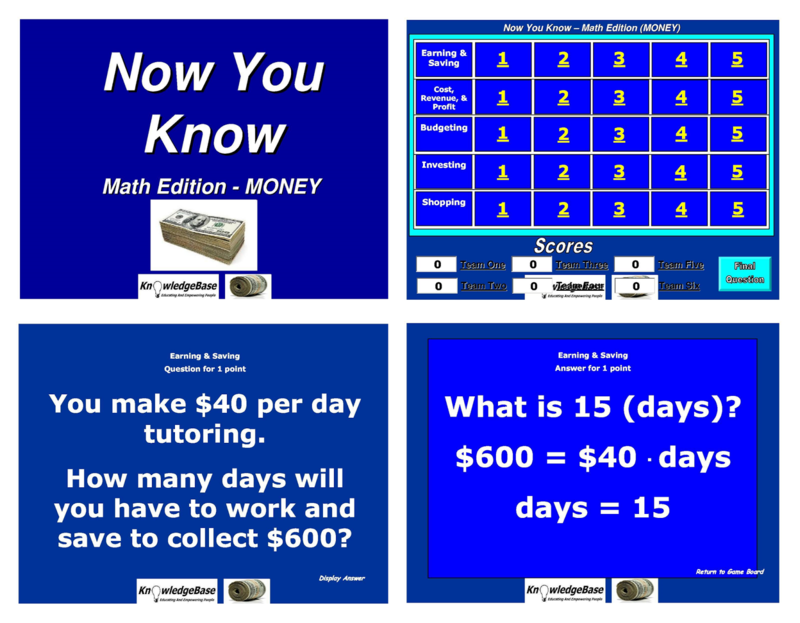 It no longer seemed to be comprised solely of numeracy and problem solving. It started to take on a more verbal, logical, proof-oriented form. Algebra gave way to The Calculus, Probability became Random & Stochastic Processes, and Linear Algebra morphed into Finite Dimensional Vector Spaces. Equations with two unknowns were replaced by systems of equations, the average became the expected value, and the number-filled matrices were replaced with eigenvalues and eigenvectors. Definitions and notation were now emphasized much more than processes, rigor, and repetition. The change was difficult as first, but my transition was eased by a work ethic that required me to do whatever I had to do to survive, advance, and succeed. The trial I experienced deepened my admiration for math. I was made steadfast in my pursuit of the new, more mature verbal and analytical approach to learning by the wise words of a fellow graduate student who told me that "In grade school, you learn how to *do* math ... in college you learn to *speak* it, and then you learn what math really *does*." My college and graduate school experiences motivated me to understand why the language of math was not introduced sooner - in order to prepare students to engage in the higher-level thinking required to engage in the more rigorous math courses. Discovering the answer to this question motivated me to volunteer at several elementary and middle after-school programs from 1999-2003, before finally becoming a high school computer programming teacher in 2003, a math teacher in 2004, and an pre-engineering teacher in 2005. 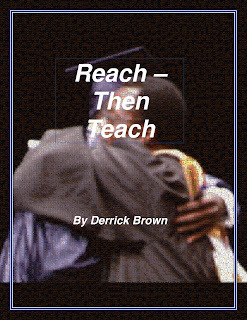 The direct interactions that I had with students and teachers as a Summer academic program director (1998-2003), after-school program volunteer (1999-2003), high school math & pre-engineering teacher (2003-2006), and high school administrator (2006 – present) suggested that the instructional approach to math had not changed much in the 15-20 years since I was in middle school. Middle and secondary school math instruction still followed an approach that emphasized mastering problem solving processes through rigorous, repetitive, and often rote methods. The emphasis placed on problem solving methods was not accompanied by an equal emphasis on developing language skills that facilitated the translation between natural language and math notation. My informal conversations with teachers never yielded a satisfactory answer as to why language was not emphasized more. The most frequent response was that teaching mandated state standards did not leave enough instructional time to devote to building math language skills. The second most frequent response challenged the very notion that there was this inextricable link between language and math. I initially saw the lack of emphasis placed on building math language skills as a problem that might best be addressed by creatively demonstrating the prevalence, importance, and sheer beauty of language to math teachers and students. 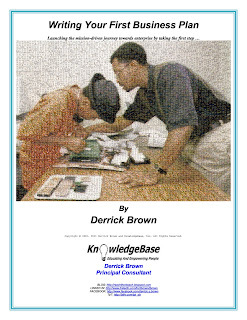 To this end, in May 2003 I created a game called "Talk To Me" to promote the creative and systematic development of students’ verbal command of subject-specific language via an educational, entertaining game. 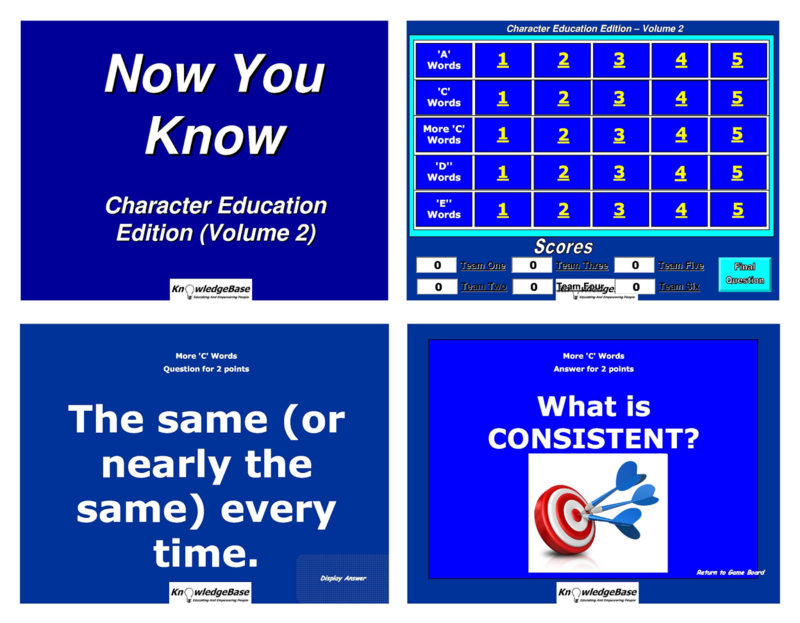 I created and tested early versions of the game as classroom manipulatives that augmented the subjects I taught as a roving instructor (in the Cobb County, GA Public Schools) and long-term substitute (at Tech High, an Atlanta, GA Public Charter School) teacher in 2003-2004. "Talk To Me" is a game that requires teams of contestants to guess math terms from verbal and/or pictorial clues presented by a single teammate. The clue giver is aided (in some cases) by having the term's definition provided. The clue giver is also, in some cases, prevented from giving certain verbal clues. The name "Talk To Me" was coined during an early test of the game. A frantic clue giver was frustrated by opposing team members distracting her team members by purposely giving them the wrong answers. During a stoppage in play, she admonished her teammates to "Talk to *me* ... do not worry about him or them ...". That moment symbolized the awareness I wanted to promote to math teachers and students – that building language skills and learning to communicate effectively were critical components in mastering all subjects, but especially in math. As stated above, I created "Talk To Me" to informally address what I perceived as the lack of awareness of the critical need to build language and communication skills in math classes. At first, I paid little to no attention to using it as a formal tool of instruction. I would soon be motivated, though, to correct this error of omission once I saw the way students played the game. 1. 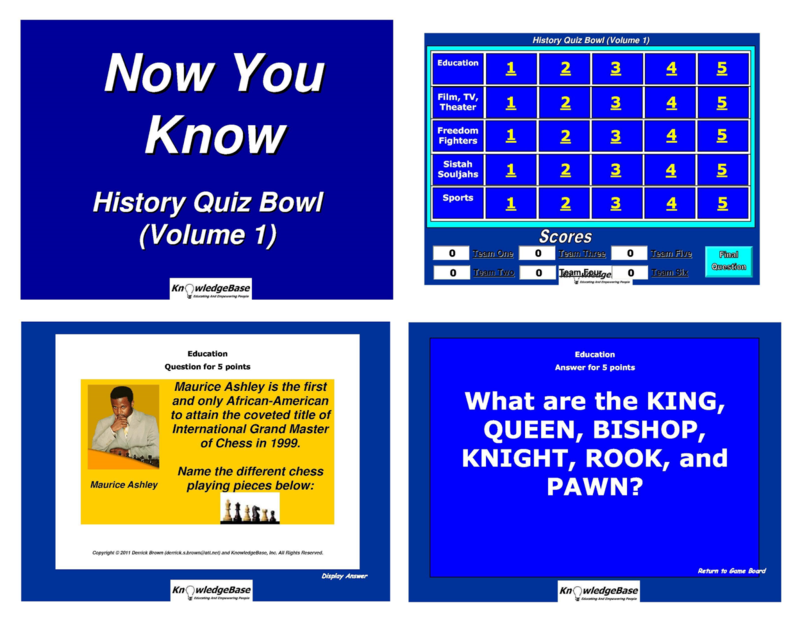 Students rarely described the game terms using the appropriate academic context. They would instead use the first context that came to mind - which was usually a popular culture reference. For example, when describing the term "line" from the Geometry version of the game, they would often use clues like "These are too long at the movies!" or "The electric slide is what type of dance?". These methods were creative and often humorous, but strayed from the game’s true intent. 2. When students did attempt to describe game terms using the intended academic context, they would often use related (but incorrect) terms. For example, when describing the term "isosceles triangle" from the Geometry version, students would give clues like "this is a triangle with only two congruent sides". Students would then shout "Scalene ... equilateral ... ISOSCELES!" After I saw this approach repeatedly, I began to humorously call it the "Right Church, Wrong Pew" method. 3. Students would be distracted from the game's more didactic intent by the lure of competition. Beating their opponent often overshadowed learning the terms the game attempted to reinforce. No matter what I tried (incentives, penalties, smaller teams, extended time), the games would often become wayward and out of control due to the above observations. I became frustrated, and retired the game for almost a year to allow time to refresh my perspective and redirect my approach. This coincided with my promotion to school administration, so my new role complemented my need for a design break. For our faculty retreat in Summer 2007, my principal asked me to lead our staff in a discussion about key issues that we needed to think about creatively and constructively. Our staff is comprised of several strong-willed, independent thinkers from rather diverse backgrounds, so any open-ended discussions often strayed from their focus quickly. I had not worked with "Talk To Me" for a while, so I decided to try it in this context by adding a slight change. Instead of dividing our diverse group of independents into teams, I asked them to all play on the same team, and to allow me to give the clues. 1. It allowed me to lead a controlled, directed discussion by giving clues that "spoke to" key staff members who may have had attitudes and opinions that they were reluctant to share. By "talking to them", and getting them to correctly guess the term, I then started a forum that had them "talk to me" so that I could present an alternative view that then facilitated a balanced discussion. For example, the word "discipline" has always carried multiple meanings to our faculty members. By giving the clue "our system of rules", those who held this view quickly chimed in with the answer. I then followed up the answer by asking if there was room to also view discipline as an "affirming manner of teaching and training proper behavior", which then allowed faculty members with that perspective to join the discussion. 2. For terms included in the game to give our faculty firm, gentle redirection, I would use a purposely vague, open-ended clue, and would then clean up the improper responses with the correct answer. For example, for the term "tardy", I said "If you arrive at work at 7:50 A.M., you are ...". After the room shouted "ON TIME!" in unison, I then informed them that they needed to arrive at 7:35 A.M. This alternative design environment serendipitously armed me with a new approach to the game I called "Cheese and Broccoli" - because it basically presented a formal lecture disguised by an entertaining, interactive, and attractive presentation format. This new approach would now allow me to actually model the proper way to play "Talk To Me" for students by giving clues in the appropriate context using simple, illustrative examples that would help to teach them the terms in a given game version at the beginning of a unit of instruction. 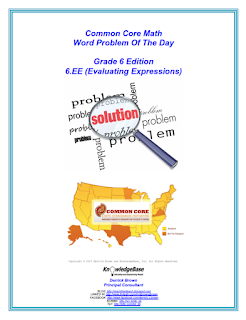 We would then play the game using that version at the end of the instruction unit, which would allow time for students to rely on the illustrative example to help them generate the appropriate words to describe terms. This new approach was the missing element I needed to motivate me to start using "Talk To Me" as a formal teaching tool that could catalyze improvement in student achievement. However, my responsibilities as Dean of Student Services would not allow me to test the potential impact of this new approach until Summer 2009. I was named Math Department Head at Tech High during Summer 2009. This new role has made me directly responsible for catalyzing improvement in student achievement, and provides me with the opportunity to now begin to formally research, evaluate, and implement language-based approaches to teaching mathematics. To qualify and quantify the current level of language proficiency, I designed a 25-word diagnostic language test of math terms commonly used from kindergarten to eighth grade. The test was given on July 20, 2009 to 25 students entering Tech High School during our week-long Summer Orientation Camp. Early statistical results of the test indicated a remarkably low level of math language proficiency. One frustrated student put it best as she scribbled the following message at the top of her test: "Some words I could not define because I cannot explain, but I know how to do them". 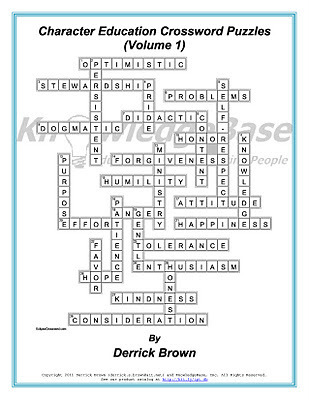 In January 2006, noted innovative educator Marva Collins participated in a live interview in front of a studio audience that I attended during the Georgia Charter School Association conference in Atlanta, GA.
As a response to a question that asked her to name the most important component germane to all subjects, without hesitation she encouraged the audience to "... Cease teaching vocabulary, and start teaching language and communication". She went on to explain that vocabulary focused solely on "the proper meaning of words", while language focused on "the proper meaning and proper use of words". Communication focused on "properly using words to convey thoughts, ideas, emotions, and information to others". Her definitions became my definitions on that remarkable day. In June 2007, I began to study the work of MacArthur Foundation "genius" grant winner Robert Moses through his organization "The Algebra Project" (http://www.algebra.org). The Algebra Project is a vehicle for implementing the standards of the National Council of Teachers of Mathematics (NCTM) such as "Mathematics as Problem Solving", "Mathematics as Communication", and "Mathematics as Reasoning". 1. Participate in a physical event. 2. 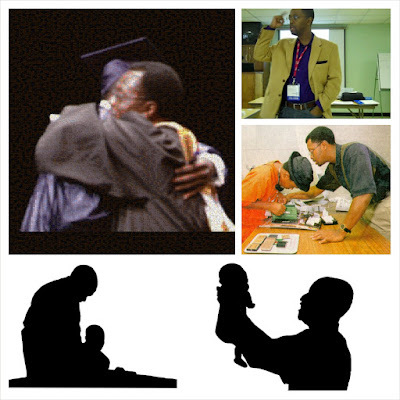 Make pictorial (graphic) representations or models of the event. 3. Discuss and write about the event in intuitive language(s). 4. Discuss and write about the event in structured language (identify key features). 5. Develop symbolic representations for the key features of the event, make presentations to the class and apply these representations. Per my research in June 2007, The Algebra Project was producing a high school curriculum with funding from the National Science Foundation's Instructional Materials Development, and the GE Foundation’s Fund for Math Excellence. The curriculum's empirical learning methods and careful analysis of participant's language ground it solidly in recent instructional research. The curriculum has improved student scores on traditional state-administered standardized tests. At the first year trial at Lanier High School in Jackson, MS, 55% of the students following this curriculum passed the Mississippi Algebra I Examination in their first sitting, compared with the 40% of students following the regular course. Examples of materials can be seen at http://www.math.siu.edu/budzban/TripLine.html. "The teaching of mathematics should be regarded as an extension of the teaching of language, in which facility in two-way translation between language and mathematical symbolism is emphasized. Efforts to develop an awareness of the intimate relationship which exists between grammar, mathematics and logic should begin with games of "How do we know" in the early grades, continue with the introduction of formal proof not later than grade nine and culminate in the ability to read and write valid essay proofs not later than grade twelve." NOTE: Literature reviews do not widely cite Professor Allen's position paper, so I will regard his ideas as a source of internal guidance.